The compatibility with other software packages is very good. For our 3D design we prefer to use PTC Creo. Using the CAD Link Creo plugin, with very few mouse clicks within Creo, we get our parts into Metalix with the correct material, thickness and bend parameters. There is no other workflow that can do it that fast. The CAD Link add-on provides 3D CAD Integration with cncKad (CAM software). 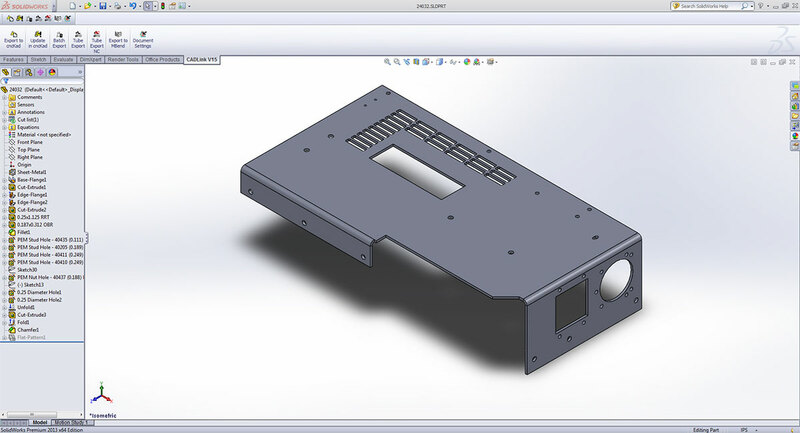 It transfers parts directly and efficiently to cncKad or MBend from CAD software such as Solid Edge®, SOLIDWORKS®, Autodesk® Inventor®, Catia, and PTC Creo®. 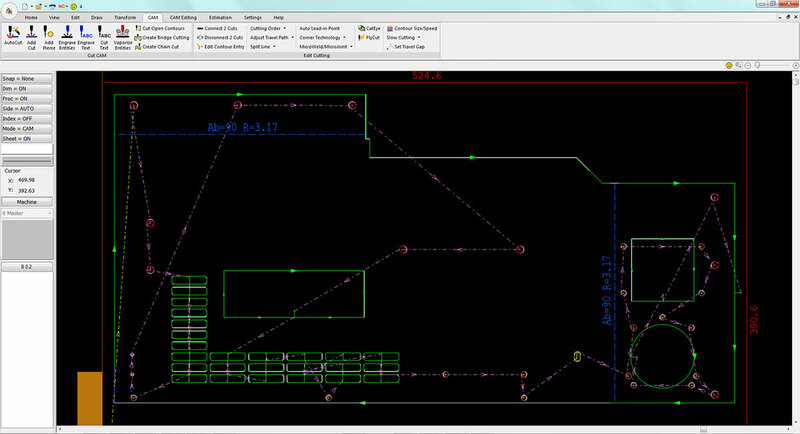 3D CAD Integration with cncKad via CAD Link uses the same master deduction table, allowing a seamless flow from design to programming with cncKad and MBend. CAD Link transfers part attributes directly between the systems, flattening (unfolding) the part and maintaining integrity between the part in the CAD software and the part in cncKad. Punches and cuts are automatically updated according to the new dimensions. New entities are visible on the 2D part, ready for processing. New bends in the 3D model are shown as bend lines on the 2D part. CAD Link enables you to select bend compensation directly from the Metalix compensation tables and apply them to your CAD model. This ensures correct unfolding for cutting and bending. CAD Link is particularly useful for shop-floor production, as you can design a part in the CAD system, process it in cncKad or MBend, and send the code directly to the machine. Watch a video demonstrating how CAD Link exports a part from a 3D CAD system into MBend.